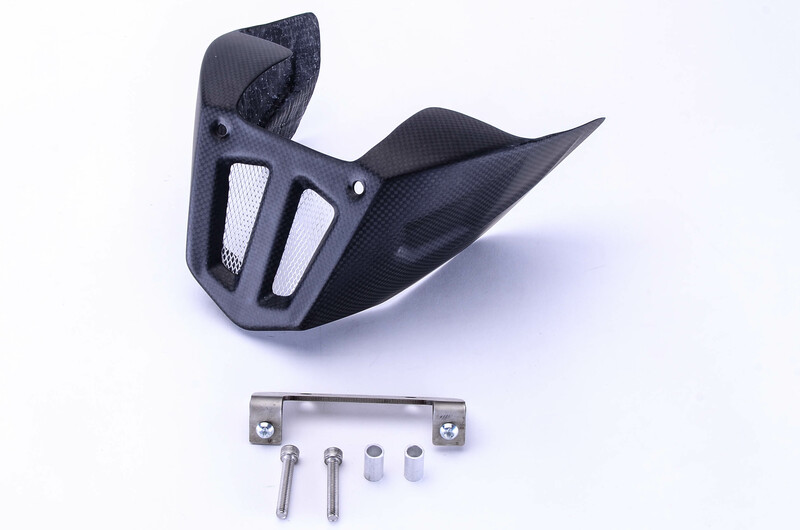 Carbon Fiber Chin Spoiler for late model Ducati Monsters and Hypermotards. The bolt-on kit comes instruction manual, with stainless steel mounting hardware and takes 10 minutes to install. The Spoiler completes the monster with an aggressive look. 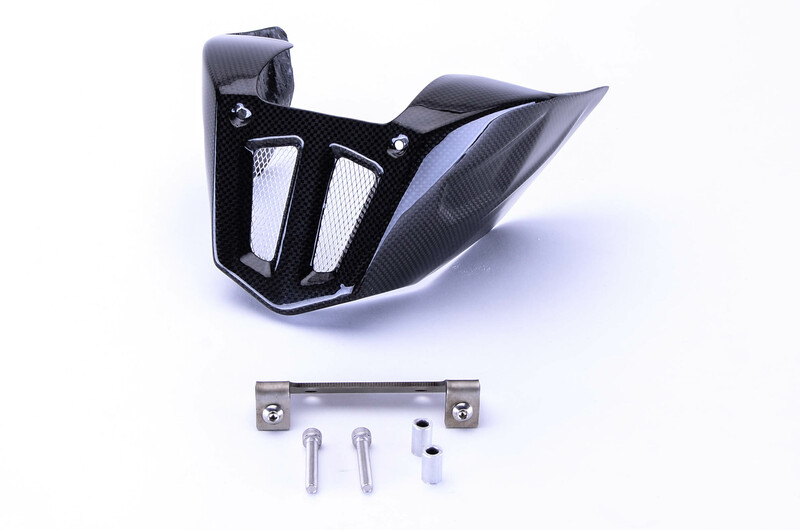 Our carbon fiber parts are made with autoclave process, coated with UV protective clear and hand-polished to a perfect finish. Available in both glossy and matte, call today for more information!